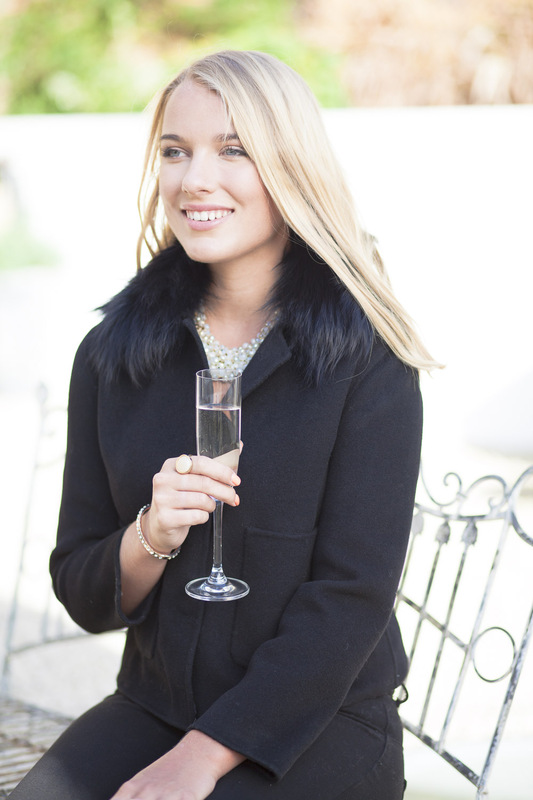 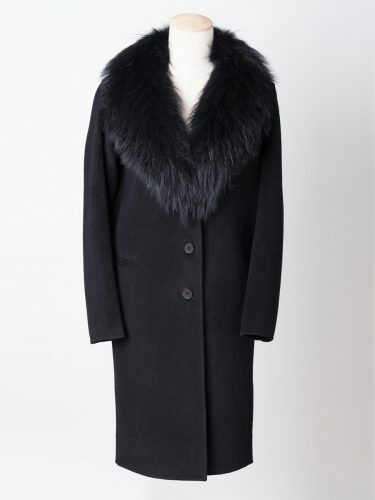 This stylish Short Black Wool Coat with Detachable Fur Collar is a very classic and elegant addition to your winter wardrobe. 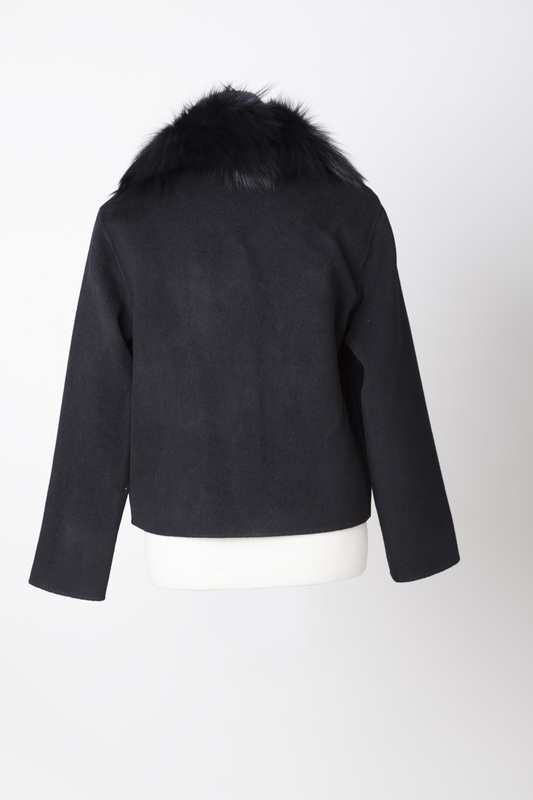 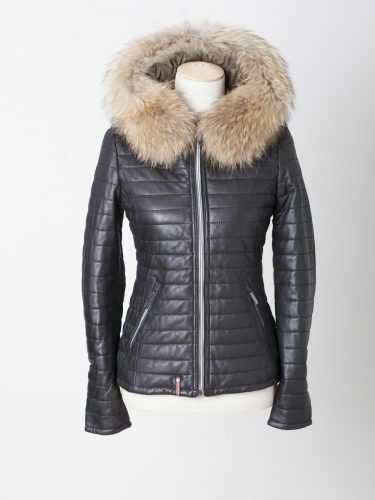 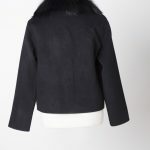 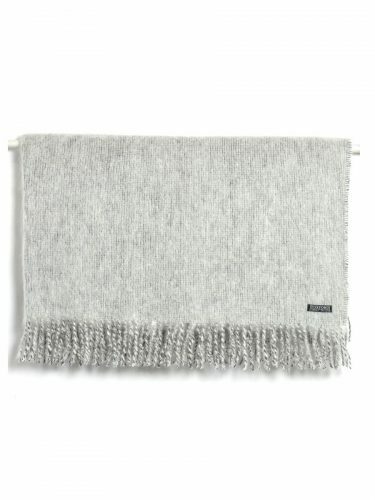 It is beautifully made in wool and has a large detachable raccoon fur collar, it is finished to the highest standard. 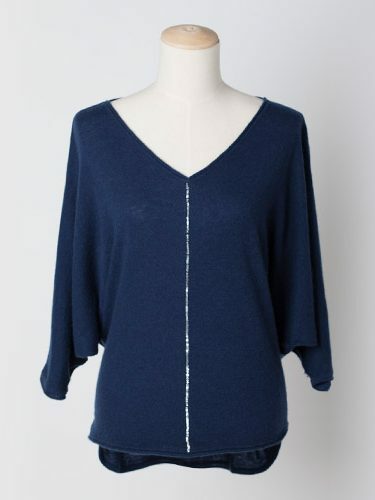 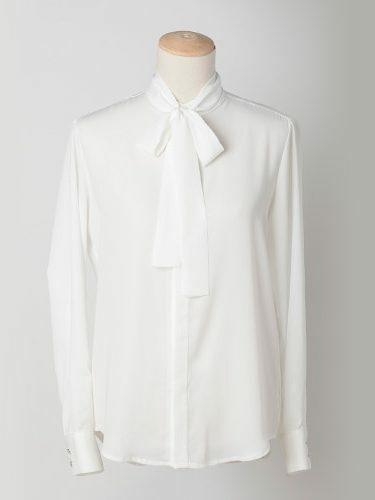 It can be dressed up or down, perfect with jeans and pumps or exceptional when worn with a smart dress and heels. 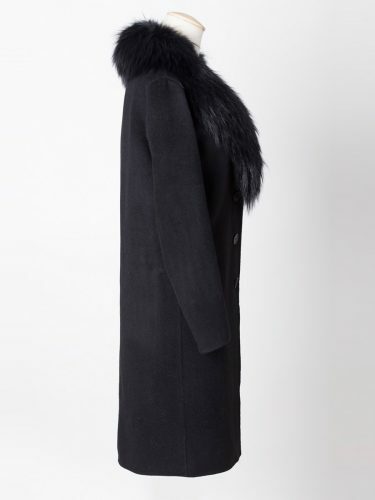 The coat offers versatility and longevity with its detachable fur collar, the coat is elegant worn with or without the fur. 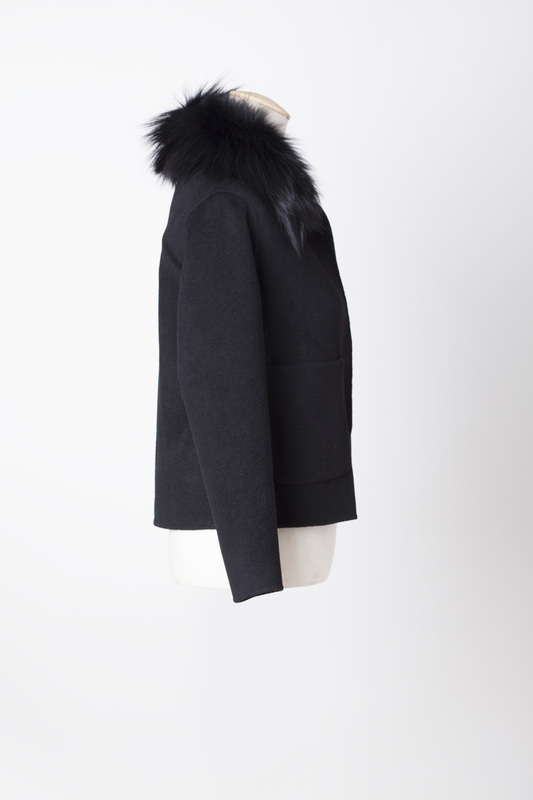 You also have the added bonus of wearing the collar on other coats, jackets and knitwear to create other stunning looks. 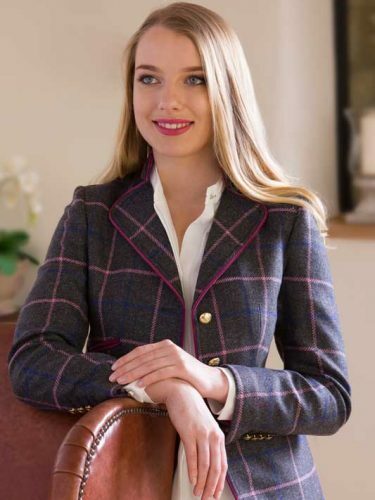 It is a useful piece that will always look smart, it can be worn to a variety of events, town or country. 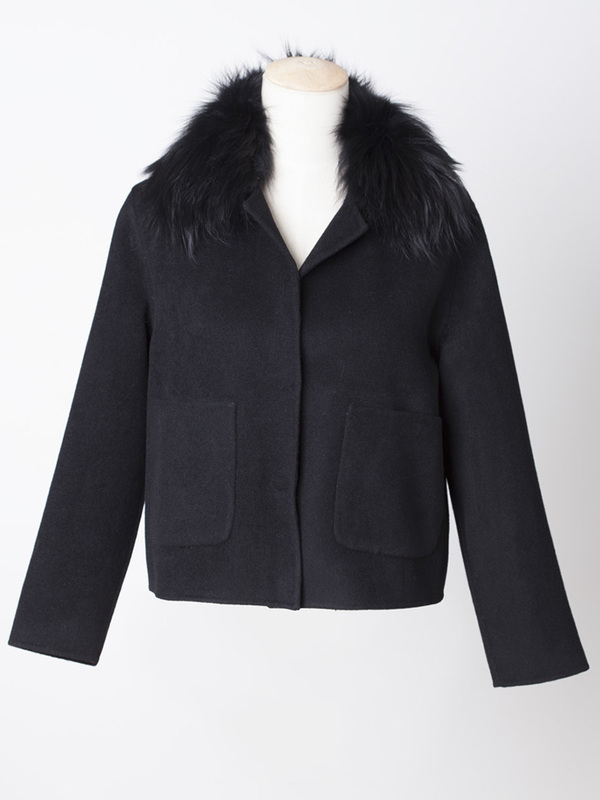 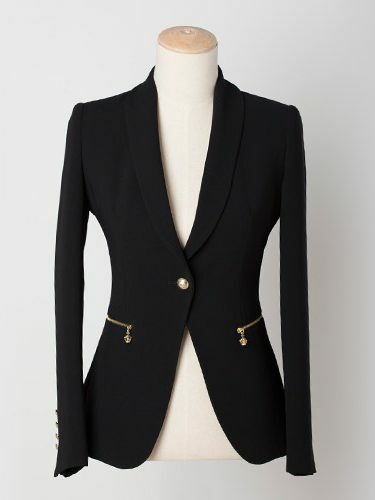 A truly wonderful short black wool coat that with you will wear again and again, a true classic.